Nestled in the Yokayo Valley, surrounded by coastal ranges, Ukiah officially became a town in 1859 when it broke away from being governed by Sonoma County. Spanish settlers put down roots through land grants and brought their rich culture to the area. Pomo Indians who lived in Ukiah wove baskets, which are collectors' items today throughout the world. Vichy Springs Resort, built in the mid-1800s on the outskirts of Ukiah, had many notable visitors, including Presidents Grant and Harrison, Mark Twain, Robert Lewis Stevenson, and Jack London. 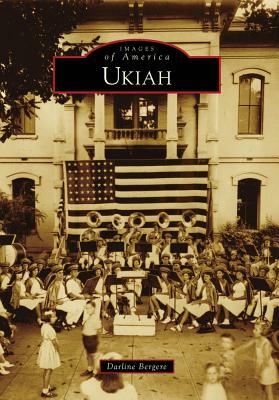 Today Ukiah is a city where people still ride their bicycles, and the high school has a homecoming parade before the big game. Farmers, ranchers, and vineyard owners work side by side. Summer months bring the annual Sunday in the Park free concerts, and the area is home to an active performing-arts community as well as several art galleries.